He is sometimes called “Christ on a surfboard”, but I have yet to see many writings that tie this Jack Kirby comic book character to Joseph Campbell’s Monomyth. Especially compelling is his origin story, which fairly quickly traces elements of the Hero’s Journey in his transformation from Norrin Radd to the Silver Surfer. 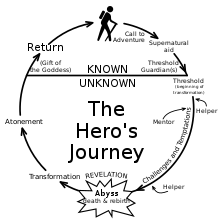 But even in extended stories such as the Infinity Gauntlet (which is said to really be about the Surfer, despite affecting all characters in the Marvel universe at that time), there are still emphases of the Monomyth. 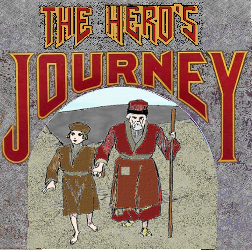 Categories: Esoteric, The Hero's Journey, The Silver Surfer | Tags: a hero's journey, Christ, Infinity Gauntlet, Jack Kirby, Joseph Campbell, Marvel Universe, Monomyth, Silver Surfer, The Hero's Journey: Joseph Campbell on His Life and Work: The World of Joseph Campbell | Permalink.